NHS: Yet Another Serious Threat. If it is not one outrage then it is another. Again the National Health Service here in the UK is under threat as the government consider a proposal to cap the number of GP visits. It could not get much worse could it? Well yes it could, if we do not stand against this the latest threat to our health care system then we could find that we have no free health care as bit by bit, little by little this callous inhumane and unelected government destroys our NHS. Frankly the callousness of this proposal is staggering. Few people have the financial means to consult a private practitioner should their appointment allocation run out. What will happen to the chronically ill? The disabled? Indeed anyone at any time may need to see a GP more frequently than is usual. People who are chronically ill or disabled are unlikely to have the means at their disposal to go private. Even more so when you consider the drastic and deeply unfair welfare reforms instigated by this government of millionaires for whom this proposal will of course not present a problem. This is a serious issue, please continue reading the information below from 38 degrees and sign their petition. “The Conservatives are floating plans to cap the number of times we are allowed to visit our GP. If we run out of visits – because we’ve got a sickly child or long-term health condition, for example – we could be forced to pay to go elsewhere. At the moment it’s just a proposal. But if the Conservatives don’t see a big public backlash, it could soon be a grim reality. So let’s raise an outcry as quickly as possible and push them to drop the idea immediately. “Jeremy Hunt will be watching the public’s reaction carefully. He is an ambitious politician with an eye on his own popularity. If he sees a huge petition growing fast, he’ll realise this is damaging his ratings. So if enough of us sign, we could play a key role in getting this idea dropped. This proposal is very worrying. People with chronic illness may need to see their GP more often than the general population and people with chronic illness may be less likely to afford an alternative. More people could die as a result of this irresponsible scheme. What is happening to this country. The Tory’s are destroying our NHS, a system of free health care for everyone which was once the envy of the world. The social progress of the last sixty years is being systematically destroyed setting the clock back to times that most people did not expect to see again. Capping GP visits is the most outrageous proposal imaginable short of a full privatisation of the NHS which I fear will be the end result .In the last two years or so the progress of sixty years has been severely undermined as they chip away at our NHS, our welfare system and everything that once made this country a good place in which to live, where those who needed medical care received it and those who needed help because of illness, disability or unemployment were financially supported in their time of need, even if that need lasted a lifetime. Free medical care and the support of those who cannot support themselves are marks of any civilised society and are a basic human right. “A cap on the number of times patients can visit their GP in a year is being considered by the Conservative Party, it emerged yesterday.A Tory consultation document on local health provision asks activists whether they agree or disagree with the idea of an annual limit on GP appointments. The paper also asks whether evening and weekend appointments with GPs and consultants are a “luxury the country cannot afford”. Labour health spokesman Jamie Reed told the Independent on Sunday: ‘This paper, hidden away on their website, reveals the Tories’ true agenda for the NHS. After throwing the NHS open to ever more privatisation with a wasteful and damaging reorganisation, it seems the Tories want to go even further. ‘It’s shocking that they are considering limiting the number of times patients can see their GP – changing the fundamental principle in the NHS constitution that access to the NHS is based on clinical need. Three days in a city now and I’m quite flipped. There’s too much noise. I just can’t do with it. Noise noise noise today it seems that there is no escape from it. Superfluous noise is the bane of my life. Here in the UK it seems to be spreading like a virulent disease; there is no sanctuary and no respite or peace from the relentless intrusion of noise. I am particularly disturbed by the noise of machinery and music, and I use the word music very loosely here as most of the mindless racket which emanates from just about every public building is in my option anything but music. At one time the only place you would get to hear music was at a concert, a disco, a nightclub and perhaps occasionally in a trendy fashion shop. co-operative supermarket. The screeching of some popular singer and the constant interruption of advertising and colleague announcements makes shopping a nightmare from some hell realm for those of us who are sensitive to loud intrusive music. I do not give a dam if the oranges are on special offer at the front of the store, or so and so shampoo is priced at three for two, or that Mrs Smith is required to come to customer services as a customer is waiting; all I want is peace to do my shopping. You even get these announcements in the toilet at Sainsbury’s though thankfully so far there is no music in this store. CAB (citizen’s advice bureau) as happened the last time I went there for help and advice, particularly if my problem is causing me stress or is of a sensitive nature. I do not want to be distracted by music in a bookshop when I need to concentrate to select a book. I certainly do not want loud music in the chemist when filling my prescription as is the case in Boots pharmacy; I am certainly not interested in what’s on offer in other parts of the store all I want is to get my prescription filled and return home. Well wouldn’t you if you were ill. How can I speak with the pharmacist for advice about my medication to address issues about which I may have concern accompanied by a screeching pop singer in the background? I cannot walk into such places without becoming agitated, stressed out and angry, my concentration deserts me. A couple of decades ago I cannot imagine what would have been said had there been the drone of a radio, or even worse a TV, in the doctor’s waiting room, in a nurses or a dentist’s consulting room. In hospital a couple of decades ago you would have to have gone into the patient’s lounge to watch TV if there was indeed a TV to watch . About years ago when my brother-in-law was seriously ill in hospital in a four patient ward the TV was switched on all day, most of the patients could not see it but the drone continued hour after hour. Nowadays whenever you go to an outpatient’s clinic instead of the coffee table and magazines there is the babble of a TV. Please Please all I want is some peace. Not everyone wishes to be inundated with the constant babble of TVs, radios and stereo systems everywhere they go, there are appropriate places for such entertainment, public facilities such as shops, hospitals, waiting rooms, offices conducting business – the HSBC and Lloyds banks have music now – are not among them. If the day arrives when there is music in the library well than I will most certainly complain. Perhaps you cannot imagine that happening, but I could not imagine it happening in a quality book shop such as Boarders, which has now closed down, yet it did, there was background music of an intrusive nature in this particular store. On one occasion I walked out complaining loudly – well you have to otherwise you would not have been heard over the racket. Libraries are in any case not the quiet places they once were as the background babble can be significant at times. When I was a child you would never consider speaking in a library, and would immediately be met with a ssshhhhhh if you did so. Now everyone natters away, there is no attempt whatsoever to maintain an environment of quiet conducive to those wishing to study. In our local library they even hold some kind of kindergarten, children singing, laughing, screeching and playing. All of which is very nice of course, but in the right place in a separate room for the purpose not in the same room as the library. Did you know that some 450 million people are exposed to levels of noise that are considered unacceptable by the World Health Organisation (WHO)? Around half a million people move home to escape from unwanted noise. A staggering 12 million are disturbed by traffic while 3.5 million are disturbed by aircraft noise and 11 million by the noise from their neighbours. Low frequency noise is also a significant problem about which has produced an increase in the number of noise related complaints. The WHO cites several health problems that may result from noise pollution these include sleep disturbance; cardiovascular effects; damage to work and school performance; hearing impairment including tinnitus. People have become so desensitised to noise that they do not notice it, nonetheless damage by the huge amount of noise in our environment continues to have a detrimental effect. In the oceans it is estimated that noise levels have increased by as much as one hundred percent during each decade of the past fifty years. Animals use sound to communicate, for example whales and dolphins communicate with similar frequencies as those which result from the noise of sonar used by navies. On land our noise pollution detrimentally effects ecosystems as sounds produced by human activities interfere with the way animals communicate, mate and prey on one another. · behavioral effects, which vary greatly between species and noise characteristics, resulting in, for example, abandonment of territory and lost reproduction. 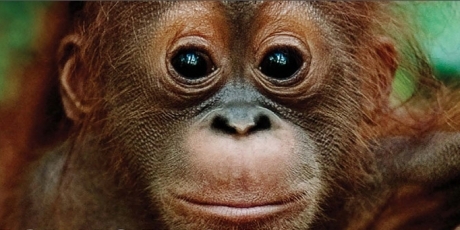 We need to act fast to save the Sumatran rainforest and the species that depends on this habitat for their survival. Please art now to prevent the destruction of 1. 2 million hectares of some of the most bio diverse rainforest in the world, replacing them with gold mines, oil palm plantations, logging, and roads. Astounding as this may seem in our more environmentally aware society the national Forestry Ministry of Sumatra may allow this to happen. The forests under threat are the only place on Earth where orangutans, tigers, elephants and rhinos co-exist – and all are critically endangered. If these plans go ahead it is predicted that in ten to twenty years these species will be extinct. Before reading further please sign the petition below and pass on by social networks such as Twitter, Facebook, websites, forums and so on. Include on your blog as I have done here. On this day there will be a National March Against The Badger Cull which will take place in Central London. The culling or rather the massacre of thousands of badgers is imminent, set to go ahead in Somerset, Gloucestershire and possibly Dorset. We must act to prevent this atrocity against defenceless animals. With total disregard to the democratic process and scientific opposition the government intend to go ahead with their plans to kill thousands of badgers beginning on June 1st 2013. On the same day there will be a demonstration in opposition to the governments’ plans to slaughter this icon of our British countryside. This will be a peaceful family friendly demonstration. If you cannot attend the demo there are other actions you can take. 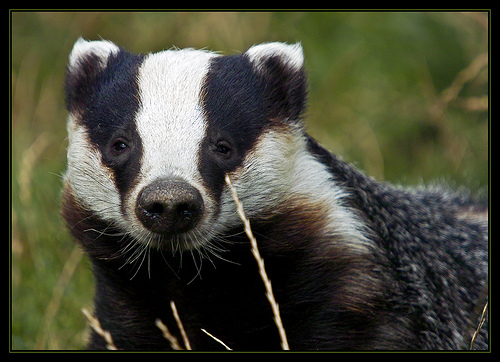 “June 1 could be a sad day for us – and a deadly day for badgers. In a bid to tackle the issue of Bovine TB, the Government has decided to undertake badger cull trials in pilot areas in England. Scientific studies have shown that culling would be of little help in reducing the disease. It could actually make things worse in some areas. The proposed culls would result in the cruel and needless slaughter of thousands of British badgers. Despite clear opposition from most of the independent scientific community, the public and MPs, the Government does not seem to be listening. The pilot badger culls in one area of Gloucestershire and another in Somerset, or now perhaps also in Dorset, seem set to go ahead. The killing could begin as soon as June 1. Even worse, if the Government continues to ignore the scientific evidence, these pilot culls may be the prelude to a wider cull that could be extended to other areas of the country. We need the public to express their absolute opposition to the cull so that even if the current pilot culls take place, at least we can stop them spreading to other areas. There are three ways people can express their opposition. On June 1 a peaceful “National Anti-Badger Cull March” has been organised by ““http://links.mkt4012.com/ctt?kn=5&ms=NjE1NjcwNgS2&r=MTA1MzI1MTEzNjAS1&b=0&j=NzM2ODk1MzMS1&mt=1&rt=0“”, and they would like this to be attended by as many people as possible from all over the country. Participants will assemble at noon at Millbank (close to the Tate Britain in London), SW1P 4RG, to walk a route that will go through Parliament Square and finish at Tothill Street. Click the link for further details. The organisers have asked people to wear black and white clothes to show support for the badgers. · Other events may be organised in London and elsewhere. Check the “http://links.mkt4012.com/ctt?kn=20&ms=NjE1NjcwNgS2&r=MTA1MzI1MTEzNjAS1&b=0&j=NzM2ODk1MzMS1&mt=1&rt=0“ for more information. We have to keep up the pressure on the government to abandon this plan, which is a crime against wildlife, against nature and against these defenceless sentient creatures who have as much right to their lives as you or I. We do not have the right to wantonly take the lives of other creatures simply because they are deemed to interfere with the constant manipulation of our environment and the exploitation of other animals, in this case cows, which man exploits to provide him with a food that is not natural and to provide the meat industry with huge profits. After all said and done at the end of the day this is all it is about: profit. The government do not care about the farmers or about the cattle who themselves will eventually be slaughtered. TB can be controlled by vaccination and this is the only intervention that the government should embark upon. Frankly I believe that killing badgers is wrong under any circumstances. What right have the government to kill other creatures with whom we share this world, it is their world too. It is as simple as that. Thankfully there are still caring people in the world who want to see an end to the destruction of our wildlife, the exploitation of animals and the environment. If you are one such person please take the actions above to stop the cull. Enough Food If: Support the Biggest Campaign Against World Hunger Since 2005. This is the first generation in all of recorded history that can do something about the scourge of poverty. We have the means to do it. We can banish hunger from the face of the earth. Vice President Hubert H. Humphrey Hunger is a political condition. Enough Food If is a massive campaign to bring about the end of mass starvation and the loss of life for millions of people world-wide.To be a part in consigning hunger to history please read more and take as many actions as you can. “Use your voice to spread our message. Together, we can make so much noise that world leaders won’t be able to ignore us. Share via Facebook, Websites, blogs, Twitter, forums and so on. Please Tweet this message now. Send e-mail or a letter, postal letters can less easily be overlooked, lost or ignored. “On the 17th of June leaders of the G8 – some of the most powerful countries of the world, will meet in right here in the UK. This is our chance to push for real change and demand they take action to stop almost one billion going hungry every day. Thousands of people will be travelling to London from across the UK for a rally in Hyde Park on Saturday 8th June to send David Cameron off with our demands ringing in his ears. We must make sure the G8 leaders end tax havens that costs developing countries billions and stop food being burnt as fuel. You can help make it happen. Hunger in this world of plenty is the greatest scandal in our day and age. Today over 25,000 people died of hunger. While each year more than 15 million children die because of malnutrition 1153 billionaires in the world today live in luxury with more money than they can spend in a lifetime! According to calculations by an American think-tank their combined wealth is now worth more than the annual incomes of at least half the world’s population. In June of this year the many of the world’s most powerful leaders will meet in the UK. They have the power to and must change the future for millions of people who live with the day-to-day struggle against hunger. But that will only happen IF we get together and make them act. This must be the year that ends hunger for the one in eight people on our planet who are malnourished. Enough food is produced to feed every man women and child, yet millions are malnourished, millions die for want of food. Each year millions of children die because of malnutrition. We can and we must change this. This is not an impossible dream, this could be reality if we all stood firm in solidarity to make hunger history. In 2011 there were over 62,million people living in the United Kingdom, 8OO million people worldwide are malnourished, this means the number of people who do not have enough to eat in the world are just over 13 times more than the UK population, that is 13 people to one British person are malnourished. This is just a rough estimate and the numbers are rising and will continue to rise if nothing is done. You can read more of my comments and other information further down including the source of the above statistics. Please support this campaign as it has the power to bring about change. We have to demand an end to the deaths of over 15 million children each year, and the malnutrition of 800 million of our fellow human beings, one third of the world’s population are starving , that is about 936 million who do not have enough to eat. African-American infants die at nearly twice the rate of white infants. According to some estimates, 13 billion dollars would be needed annually to eliminate hunger, while the United States spends approximately 600 billion dollars annually on the military. Jean Ziegler, the UN Special Rapporteur on the Right to Food, has confirmed that the rate of malnutrition among Iraqi children in 2005 had doubled since the beginning of the invasion of Iraq and the victory over Saddam Hussein in 2003. “The silent daily massacre by hunger is a form of murder,” stated Ziegler. Year upon year, the UN’s Food and Agriculture organization states in its report, that approximately 6 million children under five years of age are dying from hunger annually. Meanwhile, Forbes’ annual list of billionaires shows that the 300 richest families in the world possess over 50% of the world’s wealth. Problems concerning the cause of world hunger. Hunger results from greed and exploitation, the insatiable urge to acquire more and more material comfort at the expense of other people and the environment. Hunger is a result of our economic system; capitalism, an economy that breeds selfishness and exploitation. While this economy exists it will be difficult to eradicate hunger and poverty. World hunger is not the result of shortages of food, but how food is unequally distributed. A problem often overlooked concerning world hunger is the production of meat. We need to end the rearing and slaughter of the other sentient beings with whom we share this world not only because it benefits these creatures and it is ethical, the right thing to do towards the progression to a truly civilised society, but we have to end the consumption of meat for the sake of our own species. In addition to crops being grown to “feed” cars crops are grown to feed animals to sate the appetite of the rich man in the west who because of his insatiable desire for a food he does not need, is unnatural and destroys his health he deprives others of nutrition. End animal farming you not only end animal abuse but also world hunger. Fifty-two of the world’s poorest countries (of which 37 are in Africa) owe a total of $376 billion in debt. The repayments for this huge amount of money take up a very large portion of each country’s income to, leaving them with little left to help themselves and solve their hunger problems. Campaigners protesting to ‘Drop the debt’. The areas where chronic persistent hunger occurs need capital and resources to develop and implement schemes to help solve their problems. Cancelling world debt would provide these countries with the ability to help themselves, such as being able to develop their economy in order to safeguard against future hunger problems, develop and import technologies to begin and increase the amount of output from their arable land or help fund imports of food from abroad, helping to solve the redistribution problem. To my way of thinking unless there’s drastic change to how the world’s resources are distributed hunger will continue to be a problem. However such a profound change is likely to happen quickly, though thankfully more and more people are waking up to the unfairness, corruption and blatant immorality of capitalism, the exploitative economy of greed. But it will be a slow process and in the meantime initiatives such as the Enough Food If campaign are important steps forward in helping to alleviate world hunger and are worth supporting. So please add your support if you have not already done so. “When I give food to the poor they call me a saint. When I ask why the poor have no food, they call me a communist. Use your voice to spread our message. Together, we can make so much noise that world leaders won’t be able to ignore us. So please do not hesitate, include your support by signing the above. Litter garbage, rubbish, and trash, whatever you wish to call it, of late we are inundated with it. Here in the Northeast it is as though no one knows the purpose of a wastebasket, litter bin or a dustbin. Perhaps it’s the same everywhere; I believe there is even litter on the summit of Everest! Litter is in our streets, along our roads and motorways, even in our unspoiled wild places. Although unspoiled is now perhaps no longer an apt description of some of these more remote and scenic areas designated as National parks or Areas of Outstanding Natural Beauty of which we have many right across the north including: the Lake district, The Yorkshire Dales and moors, the Durham Dales and Teesdale, the Northumbrian national park and coastline. Strewn with litter they are most certainly spoiled. Litter discarded near the Yorkshire Dales, notice the roll of carpet deliberately dumped. When my husband, son and I first came to live in the northeast we were shocked at the amount of litter everywhere, but now in recent months it is even more prolific, nothing short of a disgrace. The northeast is often neglected when it comes to tourism which is unfortunate as it is an area of exceptional scenic beauty with some remote and peaceful places steeped in history. Attempts are being made to encourage more tourism in the region. However the shocking state of our towns and particularly highways when it comes to litter really gives an undesirable impression to say the least. 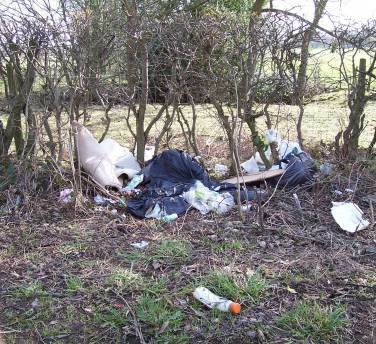 Travelling along the A 19, particularly as you head north you are likely to encounter trash which may make you think you have taken a wrong turn and you are heading towards the council’s refuse dump. 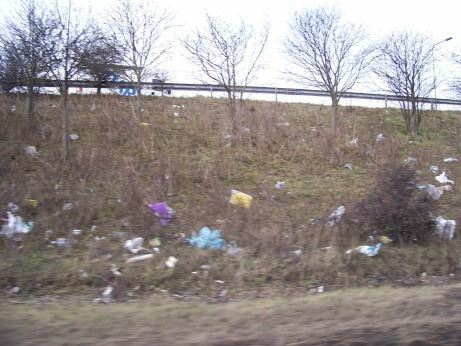 Litter strewn on the embankments of the A 19. On this major road and others in the vicinity, litter is scattered throughout, for mile after mile, on the embankments, festooned in trees, in the hedgerows, scattered in the undergrowth, anywhere, everywhere you can possibly imagine. Plastic bags billow in the wind, a hazard to wildlife and motorists alike; reams of plastic trail like banners flapping in the breeze caught in the branches of tees, a detriment to the environment and an eyesore. Discarded fast food packaging, empty boxes, empty beer cans, plastic bottles, rolls of carpet, even a mop and bucket all carelessly thrown away or deliberately dumped by idle inconsiderate people who have no regard to either the cost to the environment or to the council tax payers who have to pay for the trash to be cleared away, which all too sadly occurs with increasing infrequency. So many people it seems care little for the environment, it is not just the young and so called drunken yobs whom it seems where blamed in one article recently, but people of every age have some part in this dreadful neglectful, antisocial, uncouth and irresponsible behaviour. Recently in a supermarket car park an elderly lady deliberately discarded her litter, too lazy to put it in her pocket or bag to take home, it was only a tiny piece but it will join countless other carelessly discarded litter. In a city centre a student rummaging in her bag is too idle to chase after the litter that blows away in the breeze from her grasp, she evens stops to watch it drift away. An irresponsible slothful couple dumps their old settee in the ditch near the side of a road in the countryside, marring the splendid array of wild flowers growing there beside the hedgerows rather than take it to the council tip just one mile further along the road. The hill and fell walker discards his empty plastic water bottle amongst a growing pile as others have done at the very same style, too lazy to carry it home, spoiling the beauty of the very environment which has attracted him to walk here. In addition to this wilful neglect and thoughtlessness or even deliberate behaviour this problem is accentuated by the way no one cares, it’s shocking; it’s never anyone’s responsibility it seems even when litter is dumped on their property or land. The lazy farmer in a field nearby has made no attempt to remove a huge piece of plastic which I can clearly see from our bedroom window, it is a detriment, an eyesore. The neighbour at the end of the village has had litter in his field where his sheep and ponies graze for months and has made no attempt to pick it up. Amid pots of flowers in the local pub there is litter discarded by thoughtless passersby or thrown out of car windows, yet no one removes it. Having gone to great effort to create this impressive floral arrangement it amazes me that no one removes the litter, which surely detracts and mars this display. Apathy it seems holds sway, or is it laziness or are people so used to litter that they no longer notice it or have they simply given up overwhelmed by an increasing avalanche of other people’s rubbish. It appears to me that few people notice the encroachment of rubbish that is marring our cities, towns, villages and countryside, floating in our rivers and streams, coming in with the tide making our beaches look like a trash heap. Yet to me it is overwhelming, something I notice whenever I am out. I see it just now looking from my bedroom window, there right on the grass verge , an empty cigarette pack, an empty can of beer, a bit of blue paper, a sweet or other wrapping. And this is perhaps one of the cleanest village‘s in the area, at least in comparison. Why do I hate litter? Firstly it is simply unsightly, ugly and an eye sore. It is depressing; it makes your environment seem deprived, dilapidated, it makes you think apathy and despair. When areas are constantly littered they are prone to become increasingly more littered as though litter generates more litter, breeding increased apathy and neglect. It devalues your property; ask yourself who wants to live in a dirty littered neighbourhood? I don’t that’s for sure, I don’t even want to drive through one. It discourages tourism, again who wants to spend a holiday in a rubbish dump. Secondly litter affects your mood. Imagine walking down the street, all you can see is trash, plastic bags, discarded cigarette ends, empty cans, plastic bottles, piles of dog droppings, (although here in the north east I am pleased to say this is far less of a problem than in the south east where we used to live, when I used to dread walking through our village because of the mounds of dog mess) how does that make you feel, not good I would imagine. Now Imagine that instead you walk down a tree lined lane, there are flowers growing in the grass verges, the grass is cut, it is litter free, imagine the difference this has on your mood. In our village the residents association has raised funds to provide containers of plants for the grass verges, a pretty and inexpensive way to liven up a dreary village on a busy road. Yet this attempt to enhance the environment is often spoiled by rubbish carelessly dropped by residents perhaps, but mostly by thoughtless motorists passing through. Broken glass can wound small animals such as foxes, hedgehogs and yes your dog or cat. The rings that open cans of drink can trap a bird’s beak, he cannot free himself nor open his mouth, he starves to death. Cattle, goats, sheep and other grazing animals, after consuming bits of plastic that get mixed up in the grass they eat, can choke and suffocate. Animals both on land and in our waterways are at risk from ingesting or choking on plastic. 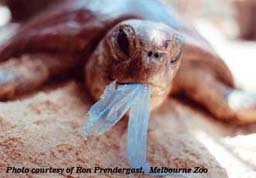 Turtles sometimes mistake plastic bags for jellyfish, ingest the plastic bag and then suffocate. Plastic is nonbiodegradable it takes decades to break down and when it does it becomes a part of the soil, it pollutes the soil most likely for generations to come with the possibility of effecting food supply. A similar situation occurs at sea where plastic breaks down even more slowly. “The amount of plastic in the marine environment is not known and nobody knows how long plastic stays in the environment. Experts in plastic deterioration research maintain it could be hundreds of years. An ordinary plastic six-pack ring, for example, could last 450 years. Because plastic is so slow to break down, especially at sea, the amount floating around in our oceans is continuously increasing. Shocking fact: According to the EU, the average European citizen uses around 500 plastic carrier bags annually, most of which are used only once. In particular for the reasons cited above I loath plastic bags. In a recent breakfast news segment the question proposed was what can be done to discourage people from using plastic bags. One of the remedies was to make the use of such unfashionable. This however takes time and who wants to leave such an important issue to the fickle whims of fashion. The simple solution is to ban them altogether. Replace them with cloth shopping bags, which are right now very reasonably priced. Shops should not be allowed to issue them. Sales staff at many supermarkets are all too ready to hand them out. Yesterday while shopping the sales assistant made some comment about our bringing our own cloth shopping bag, “what a good idea!” he exclaimed with some surprise. Apparently this was new to him, seemingly in this particular shop everyone too readily accepts these free plastic carrier bags with no thought or hesitation. He did think it a good idea but the fact that this seemed new to him was unsettling. Still there are it seems a significant number of people totally oblivious to the scourge of the plastic bag. The city of San Francisco has banned plastic bags and the city of York here in the UK is considering similar action. Hopefully more towns and cities will follow suit. We have all heard recently the term carbon footprint but what about our plastic foot print. The damage to the environment resulting from the indiscriminate use and improper disposal of plastic is a significant threat. Perhaps as damaging as global warming in its own way; because plastic is non biodegradable it slowly breaks down over decades, and some think as much as 1000 years, for example as already mentioned plastic 6 pack holders takes 450 years to break down, it disintegrates into tiny pieces and as a result will become incorporated within the soil. Rather disturbing don’t you think? When I was a child everyone had shopping bags. My parents owned a corner shop, which sold groceries and green groceries. There were no carrier bags given to customers, no one expected it, there was none available. Not even for vegetables, most people brought with them an old bag especially for vegetables such as potatoes which were weighed and placed directly into the customer’s bag, there were no repacked vegetables. Brown and white paper bags where given to people who bought cheese, cold meat, cakes and so on, which did not come, wrapped in plastic. The only time you got a carrier bag was if you brought clothing or bed linen and similar items and more often than not the carrier bag was made of paper. Yes of course the indiscriminate unnecessary use of paper brings its own problems which need to be addressed but from the perspective of being biodegradable they are less hazardous to the environment; although if you can manage without it is better to do so. Sometimes it is just habit, we purchase something we expect to receive it wrapped in a bag of some sort. Surely within reason it is easy enough to put any item into a cloth shopping bag. Why do we need a bag when we for instance buy a book, a CD or clothing? Yes it would seem odd at first, old habits die hard but they do die and they need to die if we are to maintain a healthy environment for ourselves, future generations and the other myriad creatures with whom we share this planet. I wrote this article a few years ago now and little really has changed. Please take part in Amnesty International’s campaign to save Hamid Ghassemi Shall from immanent execution by signing petitions, writing letters and other actions. Hamid Ghassemi Shall is a Canadian citizen who was arrested along with his brother in 2009 while he was visiting his mother in Iran. For eighteen months he was detained in solitary confinement charged with espionage. Legal proceedings leading to his conviction were unfair and did not provide an opportunity for him to defend himself. Lawyers who have reviewed the case concluded that there was no basis for Hamid’s arrest or subsequent detention. Please take as much of the suggested actions as you can and share widely. Information how to do so is included in the above link. Again spread widely in the usual way via social media Twitter, blogs e-mail and so on. When writing letters, including e-mail of course, and signing petitions please be polite , angry abusive correspondence rarely gets read let lone considered. Personally I am opposed to the death penalty for any reason and most certainly if there is any doubt whatsoever about the guilt of the convicted person, most particulary when there is no loss of life involved. So please take as many of the above suggested actions you can. It should be noted of course that countries such as Iran and China – see post https://rantingsfromavirtualsoapbox.wordpress.com/2013/02/19/please-take-urgent-action-to-save-li-yan-from-execution/ – are not alone in the use of the death penalty. In 2012 the USA executed 43 inmates and 3,146 were on death Row.